Today, I'm very pleased to welcome to Crime Watch this year's winner of the Ngaio Marsh Award for Best Crime Novel, Fiona Sussman. A former doctor who grew up in Apartheid South Africa before moving to New Zealand almost thirty years ago, Fiona became the first female author to win New Zealand's best crime novel prize, at a great WORD Christchurch event last Saturday. 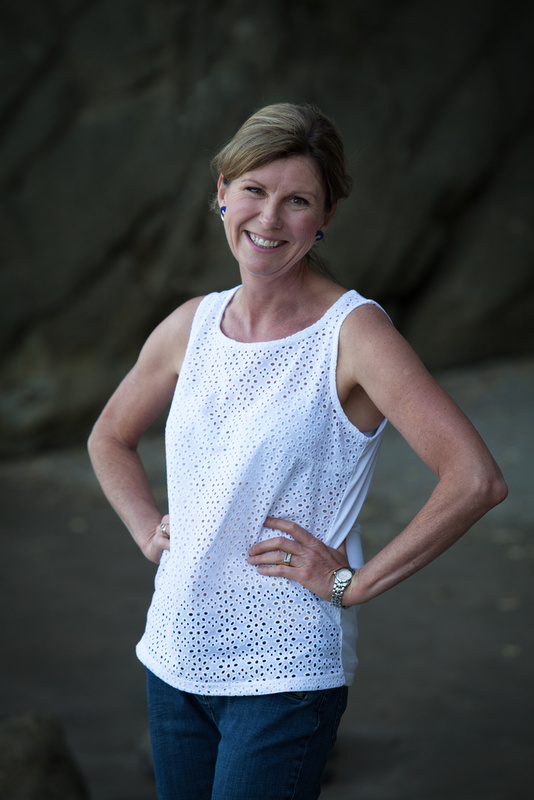 Fiona has said she's "still reeling" from being named a Ngaio Marsh Awards winner on Saturday night (you can listen to a radio interview here, read a print feature here), but we show no mercy here at Crime Watch, and today she becomes the 171st author to stare down the barrel of 9mm. My taste in books is quite eclectic, so I don’t tend to commit to an entire series. Recently, I very much enjoyed Malla Nunn’s A Beautiful Place to Die set in the 1950’s South Africa. Detective Emmanuel Cooper is a compelling and authentic character. I will definitely read another of Nunn’s books in time. Growing up, I absolutely loved amateur sleuth Nancy Drew. James and the Giant Peach, and Charlie and the Chocolate Factory are two that stand out. I remember feeling such excitement and empowerment, matched only years later by learning to drive! I’d wake at five in the morning, make a peanut-butter-and-jam sandwich, then climb back into bed to immerse myself in Dahl’s fantastical worlds. No peach in real life has ever tasted quite like the luscious one described in James and the Giant Peach. As for ‘Wonka’s Whipple-Scrumptious Fudgemallow Delight’, I scoured the shelves of corner stores for years, but to no avail. If anyone knows where I can get my hands on one . . .
Before your debut crime novel, what else had you written (if anything): unpublished manuscripts, short stories, articles? 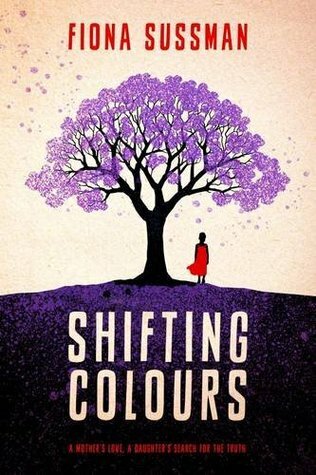 My first novel, Shifting Colours, was published in 2014. Set against the backdrop of Apartheid South Africa, it tells the story of a little black girl, Miriam, who captures the heart of a white couple while her mother, Celia, is working as a maid for them in the white suburbs of Johannesburg. After the Sharpeville unrest, the couple decide to move to the UK, and they ask to adopt Miriam. The decision Celia makes is one made out of love, but it comes to haunt all the characters from therein out. I enjoy writing short stories too and have been fortunate to have a number broadcast on National Radio. Writing short stories definitely helped me hone my craft. The tight form leaves no room for flabby writing – every word has to count. Writing short stories also taught me about the power of the unsaid. Most of my short stories, unlike my novels, have a medical theme, which I guess hearkens back to my days as a family doctor. I have been fortunate to be invited to write articles for a number of publications, including the Irish Times, The Writers and Artists Yearbook, We Heart Writing, Female First, and Stuff.co.nz. I’m a keen tramper and love to hike with my family. We are absolutely spoilt for choice in New Zealand. I also run several times a week with my loyal boxer dog as running companion. We head out in rain, hail or shine. I find it a useful way to manage stress, and it seems to jumpstart my creativity; ideas for books and stories frequently pop into my head while I’m pounding the tarmac. Then it’s a frantic dash to get home before the idea disappears. A pastime I’m passionate about is cooking. Nothing makes me happier than getting a crowd together around a table of good food. It’s in the genes – my late mum hailed from the wonderful culinary region of Piedmont in Italy. She was the best cook I know. A bit of trivia: I own over two hundred cookbooks. It’s a bit of an obsession, I know! Of your books, which is your favourite, and why (not which you think is best, but has a special meaning, for whatever reason)? Shifting Colours. For so many years I never felt proud to call myself a South African. Despite growing up in a very progressive family, with parents who actively opposed apartheid, I still felt in some way implicated by virtue of my white skin and my privilege. Writing Shifting Colours was the first opportunity for me, outside of the restrictive, censored confines of South Africa, to express my abhorrence for such a very brutal, inhuman regime. Shifting Colours was also my first literary baby. I learnt the craft while writing it. There were so many drafts. How could I not love it? My agent’s email will forever be imprinted on my mind. ‘I hope you are sitting down, Fiona. A publisher in London wants to publish your book!’ I was cycling the Timber Trail with my family at the time. Wifi was intermittent. I didn’t want to budge from the spot where I’d received the good news, and had to be practically dragged out of cellphone range. I was deliriously happy, and a little overwhelmed. A most lovely woman and her daughter asked me to sign a copy of The Last Time We Spoke at The Auckland Writers Festival. A close family member of theirs had recently been murdered. They decided to buy the book after hearing me read an excerpt from it, feeling that it might help their family to heal. I felt very humbled, and also profoundly sad. Thank you Fiona for chatting to Crime Watch. 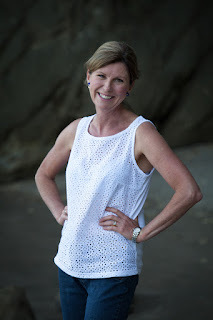 For more information on Fiona Sussman and her books, you can read more about her Ngaio Marsh Awards win here, check out her website here, or follow her on social media: Facebook and Twitter.